Infinity Marketing has launched a refreshed website for its client, Greenwood Capital. 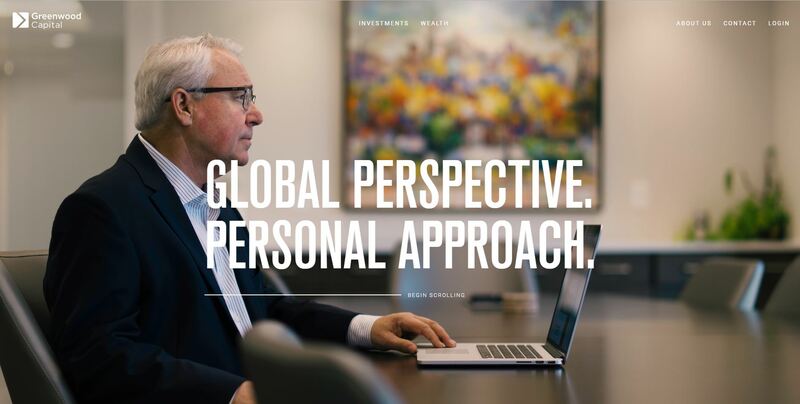 Greenwood Capital’s website was revamped with an optimized user experience that reflects the local and global aspects of the company. Greenwood Capital’s story, culture and people are showcased throughout with custom photography highlighting its team and offices. A user can easily identify with the type of service needed and seamlessly navigate through pages. Founded in 1983 in Greenwood, South Carolina, Greenwood Capital specializes in wealth and investment management. Using a top down approach and direct experience in managing proprietary investments, Greenwood Capital has been recognized as one of the largest independent investment firms in the Southeast, managing over $1 billion in assets nationwide. Visit Greenwood Capital’s new website at www.greenwoodcapital.com. To learn more about Infinity Marketing, visit www.infinitymkt.com.